An uncommon gold-filled non oyster Rolex watch with a printer’s corporate logo on the dial. The watch uses a Rolex automatic perpetual movement calibre 1520. An unusual vintage Rolex non-Oyster model with a gold filled case. 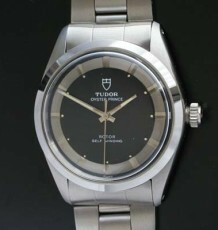 During the 1970’s Rolex and their sister company Tudor watches, started making corporate incentive watches that used non-Oyster cases. Most were made in the USA and some were solid 14 karat gold while others were gold-filled. This watch is a 14 karat gold-filled model fitted with a 17 jewel Rolex automatic perpetual calibre 1520 movement.The movement was just serviced by my Rolex trained watchmaker and is keeping excellent time. 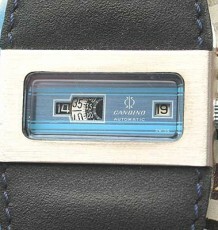 The back of the watch is engraved JTD 1953-1973. 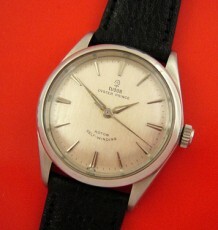 The dial appears to carry the logo of a printing company with the initials MC. 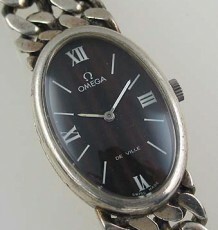 The watch measures 36 mm wide by 39 mm long and can be supplied on a black or brown leather strap.